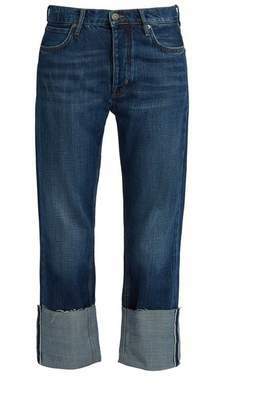 Raw, frayed hems lend a hand-cropped look to these M.i.h Jeans flare jeans. 4 pockets. Button closure and zip fly.